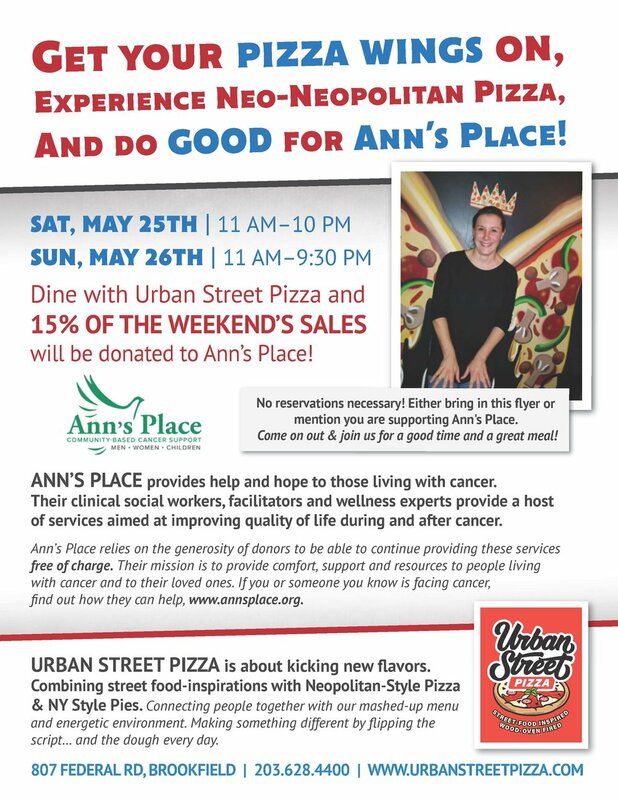 Lori Zezza and Urban Street Pizza in Brookfield are joining up to raise funds for Ann’s Place. Join them May 25 or 26th and 15% of your meal cost goes to help people facing cancer. Don’t hesitate to be just as adorable (aka. hysterical) as Lori and get your photo with the Pizza wings and crown, too! Thank you Urban Street and Lori!! !